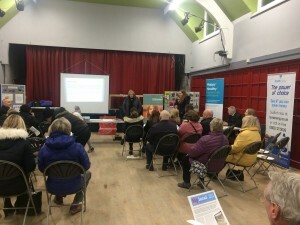 As part of the process for putting together the next Allenton Big Local Plan, a profile review consultation has recently been carried out, drawing on the experiences, knowledge and needs of local residents. The feedback received featured some recurring comments and shared concerns and ideas for making things better for the community. Read a short newsletter summary of the findings. Overall, the feedback from the discussions, focus groups, surveys, interviews and other resident feedback endorsed Allenton Big Local’s three existing priorities and supported the kind of activities being delivered. When asked about the current priorities and activities, residents said that they felt they were still valid and relevant, were addressing the priorities, and having an impact. Those who had engaged or benefited directly from ABL activities said that being involved had made a positive difference and they were satisfied with what had been delivered. We are holding our annual community event/AGM at St Martin’s Church and Community Centre on Flint Street on 12th February, time to be confirmed. 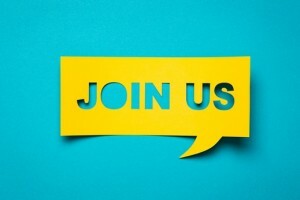 You are welcome to come along to find out the latest from Allenton Big Local, hear about the plans for 2019 onwards and discuss opportunities to join the partnership. At the Christmas event at St Martin’s Church and Community Centre on 15 December, we asked people to Make a Wish for Allenton. We were speaking to local residents to find out what they’d like to see in Allenton in 2019 as part of the Profile Review for Allenton Big Local. One of the Make A Wish cards was selected at random to win a £50 shopping voucher. The prize draw winner has been notified and the voucher is on its way to them – just in time for Christmas. Over the last three months we have been consulting widely with residents to get their views and find out whether they think that the Allenton Big Local priorities and activities are still the right ones for the local area. Overall, the feedback we’ve received has endorsed the three existing priorities and supports the kind of activities the Allenton Big Local project has delivered so far. Residents agree that the current priorities for action are still relevant, successfully address the priorities, and are having an impact. 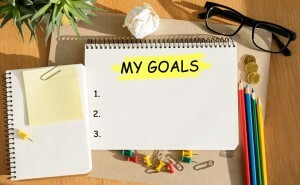 People who have engaged directly in the activities say that being involved has made a positive difference and they are satisfied with what has been delivered. There have also been some recurring comments and ideas emerging from the discussions, focus groups, interviews and resident feedback. These are summarised in the initial report to Allenton Big Local partnership. The consultation has identified some activity gaps which the partnership will address as they formulate the next Big Local plan for Allenton. The online survey will remain open until 31 December and, in early January, all of the feedback will be analysed and reported on in full. 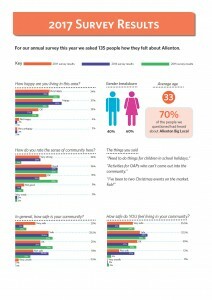 We will share the full Profile Review Report in a future post here on the Allenton Big Local website. As part of the Allenton Big Local Profile Review, we’ve been talking to people who have used the Work Club at Allen Park to find out what they think about the service on offer. The Work Club is funded by Allenton Big Local and delivered by Derby Adult Learning. It is held every Monday (except bank holidays) between 10am and 3.30pm at the Allen Park Centre. Someone who has used the Work Club successfully in the past is Allenton Big Local’s very own Kay Kennedy. Kay is a local resident and, since April 2018, she has also worked as the Plan Co-ordinator for the Allenton Big Local project. Kay said: “Yes, I was a member of the Allen Park Work Club. I used to go along on Monday mornings and have a look on the computer to find out what jobs were available. The club helped me with my CV, job searches and getting my life organised around getting work. “Because I have family commitments, I couldn’t work full-time and all the jobs I was coming across were for hours that I wasn’t able to do. I applied for a few of the jobs anyway but, when I was offered an interview and I explained about my availability, the employers told me that those hours wouldn’t work for them. “The advisors at the Work Club are really friendly and helpful. They put you at ease and give you confidence in yourself. 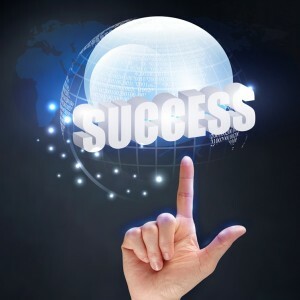 In fact, everyone who uses the Work Club is helpful and friendly. They talk to each other, encourage each other, and support each other with things like IT. 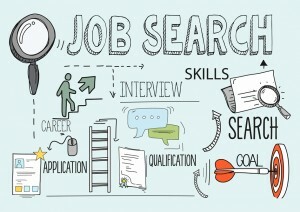 If you’re looking for a job or want to improve your career prospects, visit the Work Club at the Allen Park Centre (next to Allenton Library) on Mondays between 10am and 3.30pm. The 10-year Allenton Big Local project has reached its half way point and we’re now planning for the next stage of the project. We need to know what is important to the Allenton Big Local community. If you live or work in the area, please take a couple of minutes to tell us your views. We will then use your feedback to help us decide how to invest Big Local funding in Allenton. Allenton United Under 12s have received £1,000 of support from the Allenton Big Local Community Chest fund. They put the money towards a trip to Manchester with 15 young people to take part in the Manchester Cup. 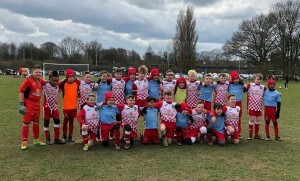 The football tournament took place over the Easter weekend and we’re pleased to report that the Allenton United Under 12s team did Allenton proud and came runners up in the cup. If you have been able to make great changes in your own life through the support of one of the many projects funded by Allenton Big Local, we’d love to hear from you. 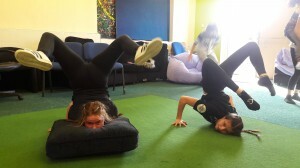 During the refurbishment of St Martin’s Community Centre, the Enthusiasm Trust delivered youth sessions in October, November and December at alternative outreach venues within the Allenton Big Local area. 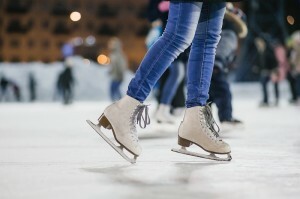 This included theatre trips, workshops, and a visit to the ice-skating rink in Derby. Hard work, commitment and energy! The Work Club continues to offer support to an average of 12 people every Monday at Allen Park. 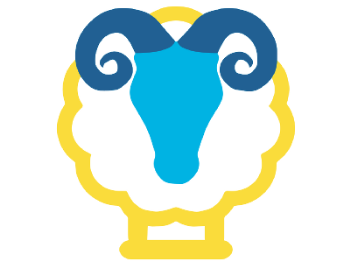 The club is funded by Allenton Big Local and delivered by Derby Adult Learning and offers a range of support to job seekers and those looking to improve their career prospects. Allenton Big Local continues to fund cookery courses delivered by Nacro Osmaston Family Project. The courses help parents to increase their knowledge of food and the health benefits of cooking simple meals that cost very little. The sessions increase parental confidence and healthy eating and encourage families to try new foods. The course also gives them the know-how to adapt recipes to suit their own family’s tastes. Allenton Big Local funds support for local families which is delivered by the Nacro Osmaston Family Project. You can read their latest update report here on our website. Allenton Big Local held its annual community event and AGM at St Martin’s Community Centre on 9 January. The event was well attended by local residents, delivery partners, St Martin’s Church members, and representatives from local groups and organisations. We completed our annual survey during 2017 and, this year, managed to speak to 135 people to get their views on Allenton and how they feel about the area. We have now published the results of the survey alongside the feedback from 2016 and 2015. You can download a PDF of the results using this link. 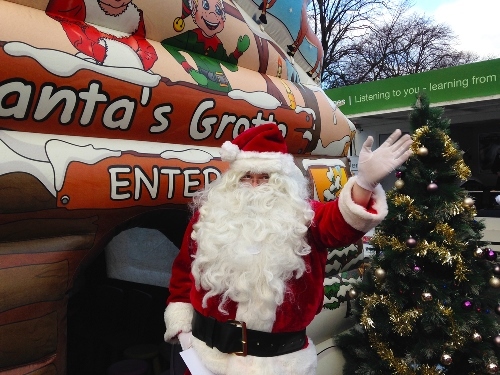 Santa visited Allenton Market again on 16 December 2017 and spoke to 448 children at the annual Allenton Big Local Christmas event, which was organised by Nacro and volunteers from Allenton Community Support parents’ group. Would you like to join our partnership group? At the community event that will take place on 9 January at St Martin’s Community Centre, we will be hold our AGM and confirm the Allenton Big Local partnership for 2018. 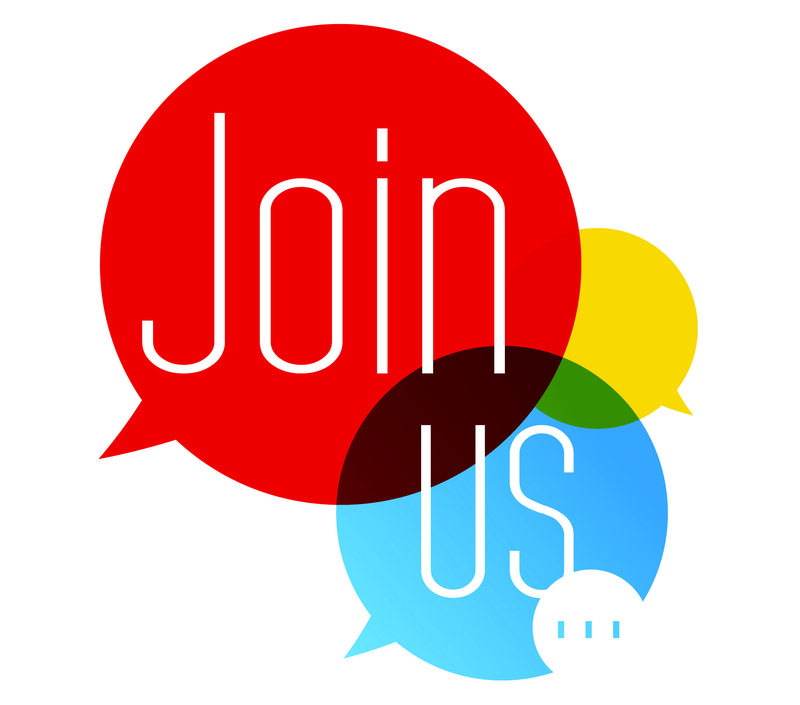 If you are a resident of Allenton Big Local and you are interested in joining our partnership group, we would love to hear from you. Allenton Big Local is holding a community event at St Martin’s Community Centre on Flint Street in Allenton on 9 January 2018 at 6.30pm. 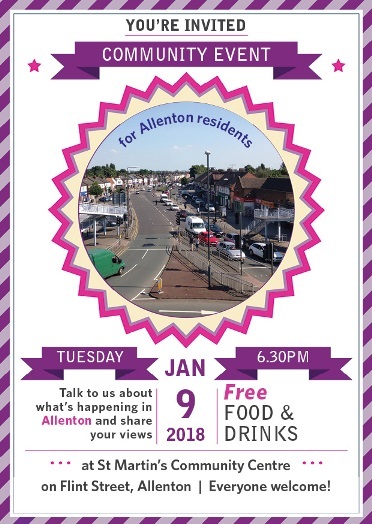 Residents and friends of the Allenton Big Local area are welcome to attend the event, which will include free food, an opportunity to share your views and ideas on local issues and an update on Allenton Big Local activities over the last year. Attending the event will also give you a chance to learn more about what’s been happening at St Martin’s Church over the last few months. The community centre is currently being transformed by St Martins Church & Community Centre Charity Makeover in partnership with local organisations including Derby Homes, Derby City Council and Allenton Big Local. Come along and get a sneak peek of what will be on offer at the Community Centre once the work is completed. We hope to see you on 9 January. Everyone is welcome. Santa and his reindeers are on their way! 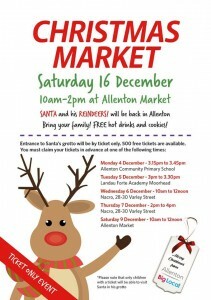 The popular Allenton Big Local Christmas event will be back at Allenton Market again this year, on Saturday 16 December between 10am and 2pm. 500 tickets will be available to the free event, which will host Santa and his reindeers in the grotto on the market. Monday 4 December - 3.15pm to 3.45pm at Allenton Community Primary School. We hope to see you there. Merry Christmas from Allenton Big Local! RAM Energy, working in partnership with the energy supplier Robin Hood Energy, is a not-for-profit brand created by Derby City Council to help tackle fuel poverty and rising energy bills. The scheme offers anyone in Derby and the Midlands low cost gas and electricity and help making the switch. Every week up to 20 young people from Allenton take part in a fantastic dance project which is funded by Allenton Big Local and delivered by the Enthusiasm Trust, supported by Trinity Warriors. The young people taking part in the sessions benefit from the guidance of a professional dance teacher and a professional youth mentor. They learn and develop new dance moves and techniques and build their confidence and self-esteem with the aim of performing at events across the community. 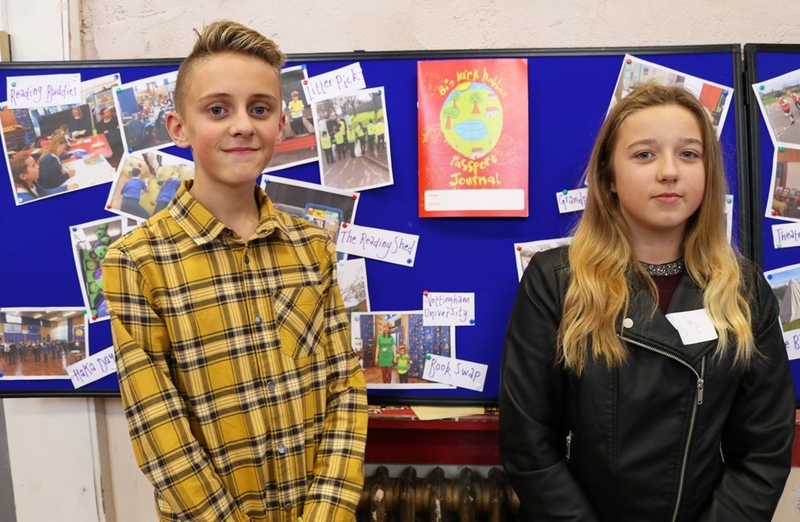 The Enthusiasm Trust has continued to deliver a packed schedule of activities throughout the summer, many of which have been funded by Allenton Big Local. Enthusiasm provided seven open access youth provisions through weekly youth club sessions at St Martin’s Community Centre and throughout the ABL area through the Summer Splash programme. In their latest update on Allenton Big Local funded activities, the Nacro Osmaston Family Project reports that this quarter has seen another significant increase in families with complex needs and children who are subject to safeguarding plans. In the last quarter, there have also been two referrals to Social Care for safeguarding. Allenton Big Local funds a Job Club at the Allen Park Centre in Allenton, which is run by Derby Adult Learning Service and held every Monday between 9.30am and 4pm (except for Bank Holidays).